Because of its ability to effectively loosen cells from the outer layer of skin, glycolic acid is a powerful treatment for many types of skin care conditions. From eliminating dark spots on the complexion to decreasing the depth of wrinkles, glycolic acid treatments can produce a number of positive changes that greatly improve the texture and tone of the skin. Unfortunately, many people find that traditional glycolic acid treatments are too harsh for their complexions and suffer from redness, stinging and dryness after using products that contain the natural acid. The Gly Derm skin care collection was developed as an alternative to traditional treatments and can allow you to enjoy the benefits of glycolic acid even if you have delicate skin. 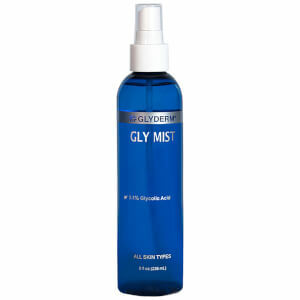 Gly Derm products contain glycolic acid that has been esterified, making it less abrasive. In clinical studies, high doses of esterified glycolic acid have been proven to be far less irritating than similar doses of the alpha hydroxy acid in its raw state. 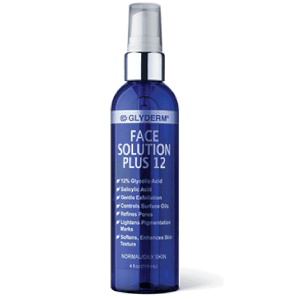 As a result, Gly Derm products offer maximum effectiveness with a lower risk of side effects. Traditionally, dermatologists and plastic surgeons have had to exercise caution when recommending glycolic acid treatments due to the potent nature of the ingredient. Although derived from sugarcane and other natural substances, glycolic acid is very powerful and in raw forms has been known to cause irritation and even scarring in some users. As a result, glycolic acid treatments were once reserved for only a select few people, leaving many to settle for less effective treatments. Because of the unique esterification process through which Gly Derm products are made, the molecules of glycolic acid present in the formulas are powerful yet extremely gentle at the same time. More than 1.5 million people have used Gly Derm products as a part of their daily regimens, yet there has never been a single reported case of scarring associated with the formulas. Still, over 90 percent of users buy Gly Derm products more than once because of their benefits. 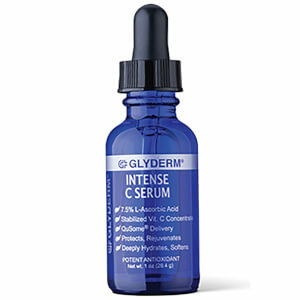 It is this perfect combination of safety and effectiveness that has made Gly Derm a leader in skin care and that has prompted more than 2,500 dermatologists, plastic surgeons and estheticians worldwide to offer their glycolic acid products to patients and clients. 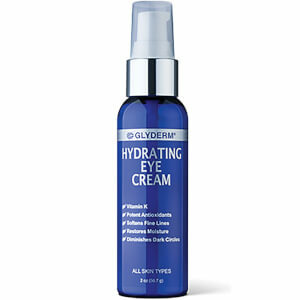 Gly Derm offers a complete range of glycolic skincare formulas, providing maximum benefits for the skin. 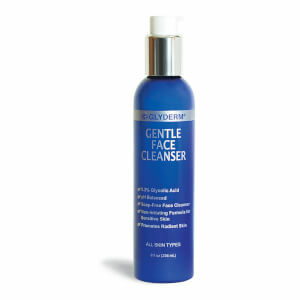 By combining the daily cleansers, toners and moisturizers with the treatments, eye products and masks intended for your concerns, you can address a multitude of imperfections from acne to signs of aging to skin discoloration. Direct the natural exfoliating and vivifying power of glycolic acid, a derivative of sugarcane, toward your skincare needs with Gly Derm Products. These groundbreaking treatments utilize an esterified form of glycolic acid, which minimizes irritation while maximizing the agent's positive cosmetic impacts. Gly Derm Products include a range of fine creams, lotions, serums, toners, cleansers, and other offerings you can easily incorporate into your daily hygiene practices, knowing all the while you're using high-quality, healthful ingredients. You'll give your face and body a refreshing pampering, bringing out their inherent glow and softness while battling off signs of aging, exposure, and damage. All this becomes available to you in your own medicine cabinet, and without any pocketbook-crippling price tags either. Try the diverse, expertly formulated Gly Derm Products today, and take your skincare approach to an entirely new level. You'll be happy you made the effort to track down such a suite of top-tier treatments. It's important to select skincare products that emphasize natural, non-irritating ingredients, and that are easy enough to use that you can ease them into your daily routine. 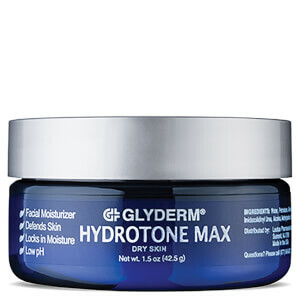 The Gly Derm Products are good choices, powerful in action, but gentle on your skin. 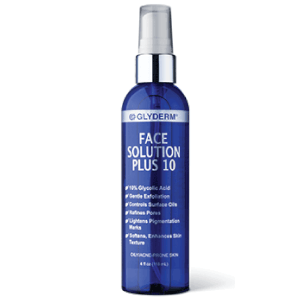 Using the Gly Derm Face Lotion 5, you get a multi-talented skincare tool for your normal to dry skin type. 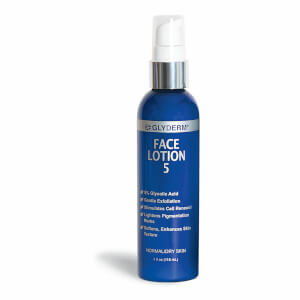 Formulated with a five-percent Glycolic Acid solution, the Gly Derm Face Lotion 5 reduces the visibility of wrinkles and uneven, blotchy tone, all the while hydrating your skin and gently exfoliating it to slough away dead layers and promote cell renewal. You'll find your face looking brighter and feeling softer. 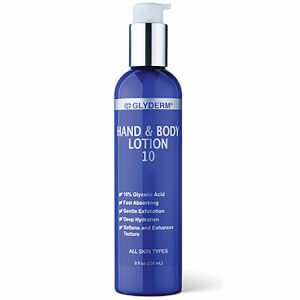 When you first begin using it, apply Gly Derm Face Lotion 5 to your face after cleansing, then wash it off after two hours. If you don't experience any irritation after 24 hours, you can begin leaving the lotion on overnight. 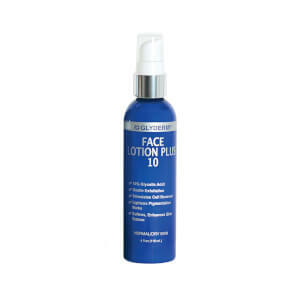 If you've enjoyed the use of Gly Derm Face Lotion 5, consider trying the Gly Derm Face Lotion Plus 10, which has a ten-percent Glycolic Acid formulation and a whole roster of effects. You'll reduce the look of discolored patches and creases, while giving your skin a thorough but gentle exfoliation and hydration. It's best for normal to dry skin types. 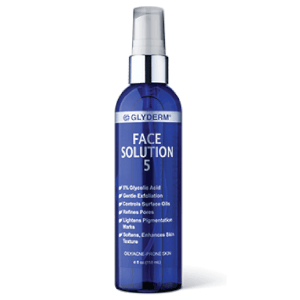 Begin using with the same approach as Gly Derm Face Lotion 5. 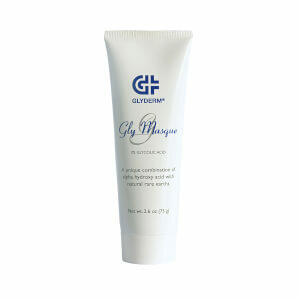 For those with normal to oily skin, the Gly Derm Face Lotion Lite 5 is the perfect exfoliator and moisturizer. Its five-percent Glycolic Acid solution works to minimize the appearance of fine lines, blotchiness, and other irregularities, and brings out a smooth, even-toned look to your skin while also exfoliating and hydrating. 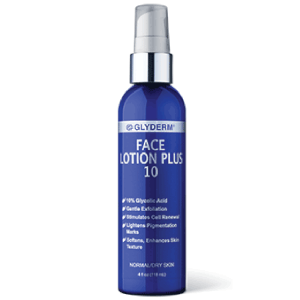 Test out the product upon first use as you would Gly Derm Face Lotion 5.